The Hare’s unique features are unmatched (1) Plugs Directly on to Tortoise™, simplifies wiring, reduces failures. Just use two convenient screw terminals to connect to track power and you're up and running. All other connections are also made through screw terminals. (2) Auto Throw™ feature automatically throws points when a train is approaching against the points. This eliminates derailments, layout shorts, loco and scenery damage and is ideal for difficult to reach turnouts and hidden staging. (3) Smart Route™ feature sets up to 13 routes by simple address programming in addition to the primary decoder address. Each Smart Route can control an unlimited number of turnouts. 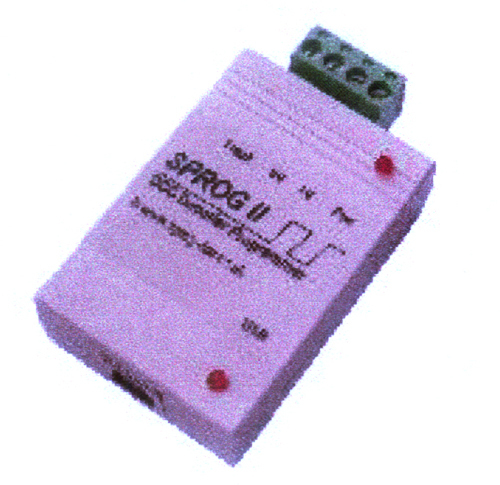 The Smart Route eliminates complicated programming, the need for computer operation or system macros required by other stationary decoders. (4) Smart Default Ops™ allows all Hare™ controlled turnouts to move to a predetermined position when layout is powered up or remain as last thrown. When you power-up your layout this eliminates possible fouling the mainline. (5) Operates LED Turnout Signals or remote Panel LED Indicators. (6) Manual Push Button option for Control Panel Operations. (7) System Reset by simple CV programming. Resets to factory defaults. (8) Digitrax LocoNet, NCE Cab Bus and Lenz Express Net feedback and position reporting options are supported in Version II (9) Automates Reverse Loop Turnouts using Smart Throw feature (10) Compatible with all DCC Systems that support Accessory operations. I've just received my Hare™ I ordered (#6 in all). I love it, programming has been easy. This is a BIG plus for any DCC layout. There are two Versions of the Hare™ Version I: Includes features 1, 2, 3, 4, 5, 6, 7, 9 and 10 above, does not support feedback, see Version II. Note: The Auto Throw™ feature, (2) above, works with both insul-frog and electro frog turnouts for Versions I and II. MSRP $29.95 We understand that the Hare™ costs more than other stationary decoders but it has many unique important features that provide for better operations. A considerable portion of the cost is due to the convenience afforded by the Tortoise™ Connector and screw terminals that eliminate multiple solder terminations. Also, many Tortoise™ users are purchasing Tortoise™ compatible connectors anyway, this should be considered when evaluating the “Hare™”. Version II: Includes all features above. Note: Digitrax LocoNet, NCE Cab Bus and Lenz Express Net Feedback and Position Reporting options are supported in Version II. There will be plug-in modules and unique part numbers to support feedback for Digitrax, Lenz and NCE feedback buses. MSRP TBA Expected in August 2005 Multi-address capability: Existing accessory decoders allow for switch routing (the ability to operate multiple switches in a distinct pattern that forms a route through the switches by issuing one control command) via locating multiple decoders on a single printed wiring board. This allows a common control to organize routing among the controlled outputs. 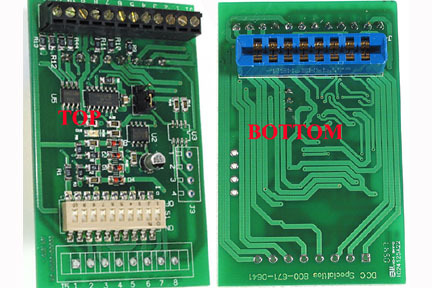 This approach is limited by the maximum number of outputs that can be located on the wiring board, and by the need to run wiring from the controller to each switch motor (Tortoise™). Our concept allows each switch controller to respond to more than one address. A route is enabled by programming the route address to each controller in the desired route. This allows an unlimited number of controllers and their associated switches to form a route while responding to the single route address. Each of our controllers can be programmed to be part of up to 13 separate routes. Within each route, provision is made to allow the operator to define the required switch direction for the associated route command. Essentially, it allows the operator to form a network of specific switches without having to have a common controller or a nest of wires from a common point to an array of switches. Easy installation: The commercially available Tortoise™ switch machine is normally supplied with a card edge connector intended for use with a mating connector. Other designs have the user solder wires to the Tortoise™ connector. Our design incorporates the mating connector as part of the circuit assembly. This feature allows the switch controller to plug directly on to the Tortoise™. 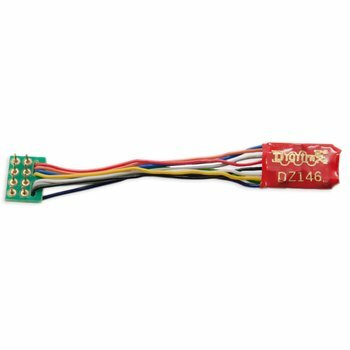 This eliminates soldering and the interconnect wires while allowing a very simple installation. Auto Throw: In previous designs, if the train approaches the switch with the switch aligned in the wrong direction, an open circuit results that will cause the train to stop until the switch is correctly positioned. Our design senses the switch misalignment as the train approaches, positions the switch correctly, and supplies power to the previously un-powered rails. A train approaching a misaligned switch will be sensed causing the switch to change position and allow continued smooth operation of the train through the switch without stopping or the need to restart the train. Default reset: Existing switch controllers will place the switch in the position that existed just prior to the last power off cycle when power is turned on. While our design incorporates this feature, it also allows the operator, at their option, to set the switch to a particular position at power on. This feature could be useful, for example, to prevent an accident at a siding. If the switch is left aligned to the siding and forgotten at the end of an operating session, subsequent operation on the mainline could result in a train unexpectedly entering the siding. This feature could ensure that at power on, the switch to the siding is always aligned with the mainline.